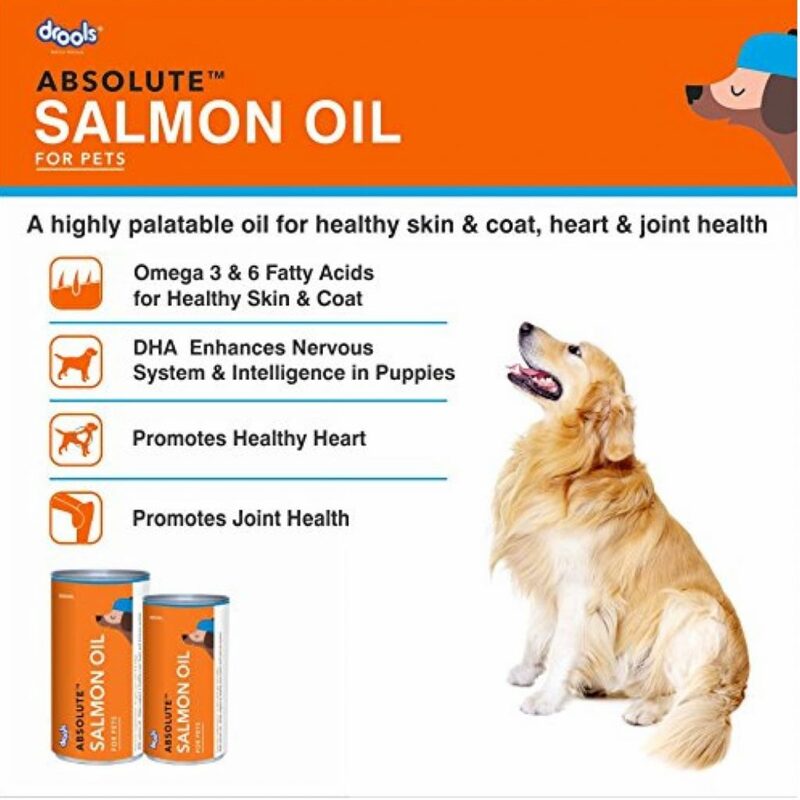 Give your pet the power of Salmon oil with Drools Absolute Salmon Oil Syrup, which is very high in both EPA (eicosapentaenoic acid) and DHA (docosahexaenoic acid), which are omega-3 fatty acids. 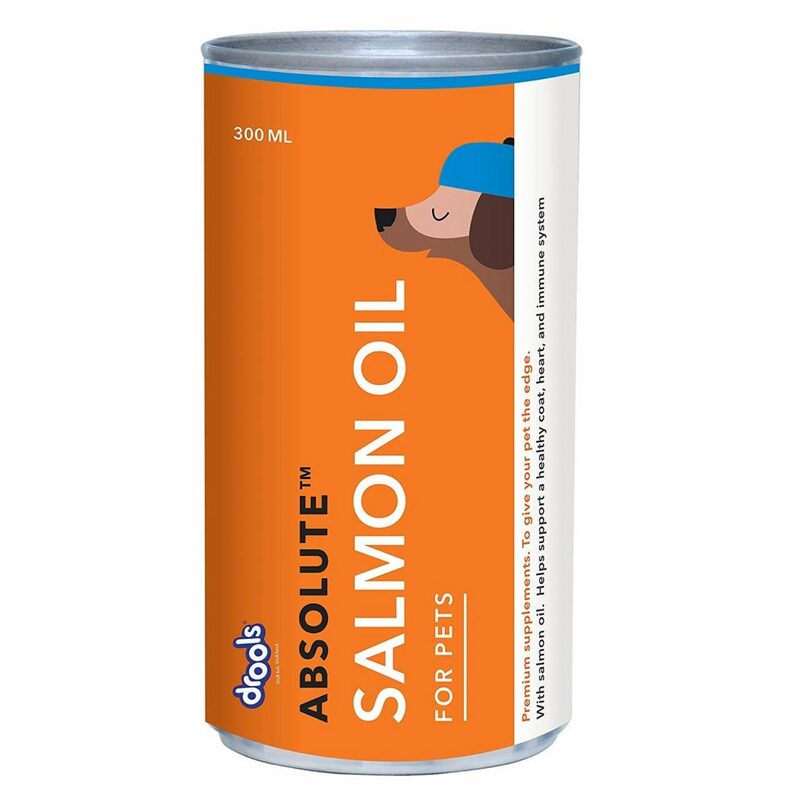 Serve: 1 Teaspoon per 10kg body weight or as recommended by the veterinarian. Feed 5 ml / 1 teaspoon per 10 kg body weight or as recommended by the veterinarian. Add the recommended quantity in regular food, mix well & feed.